Maui sure is a romantic place to celebrate an anniversary. There aren’t many things much more romantic than watching the sun set with your sweetie. From looking at this photo, you can almost hear the sound of the ocean and see the swaying palm trees. Let’s all sigh now. 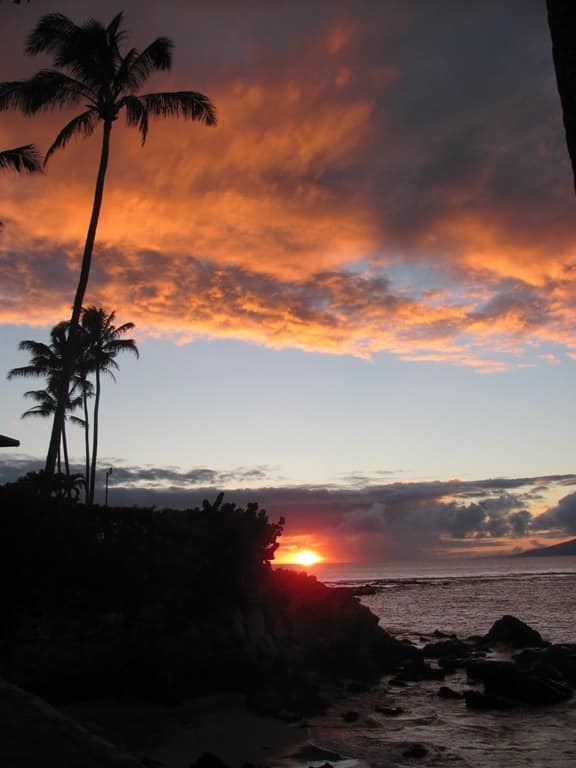 Mahalo to Beverly for sharing her lovely photo with us for our Aloha Friday Photo series!